Oncology Massage is a specific form of massage for For people living with cancer or other life-limiting illnesses. 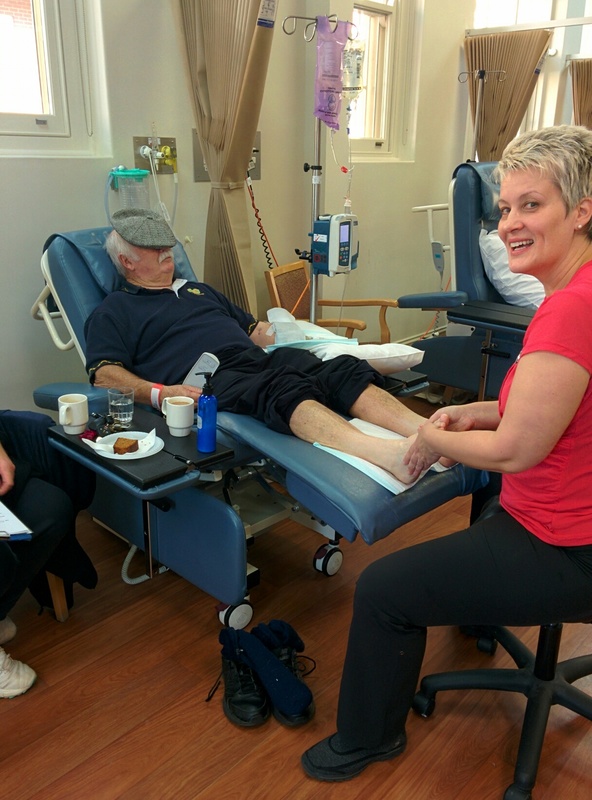 Cancer patients can benefit greatly from highly individualised massage and touch therapy such as Bowen, as it not only helps reduce their anxiety and improves their psychological well-being but can also help with pain management. Whether you are a patient with a life-threatening illness or a carer of friend of a person living with cancer, speak to your qualified Oncology Massage therapist to see how they can help you. No matter where you are in your journey, you can benefit from a massage. As if it the diagnosis of cancer and dealing with ones own emotions in response to this is not enough, patients are often hit with a barrage of information, tests, appointments and treatment plans. All of which can be rather daunting and stressful. The first trip to the chemotherapy unit can often be a frightening, overwhelming experience. Andrea provides foot massages to patients while they are receiving chemotherapy to promote relaxation and reduce anxiety. 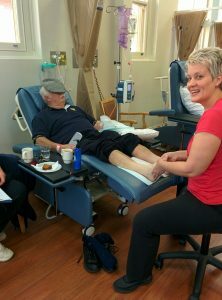 Andrea providing foot massage to a chemotherapy patient. (photo used with kind permission of the patient). 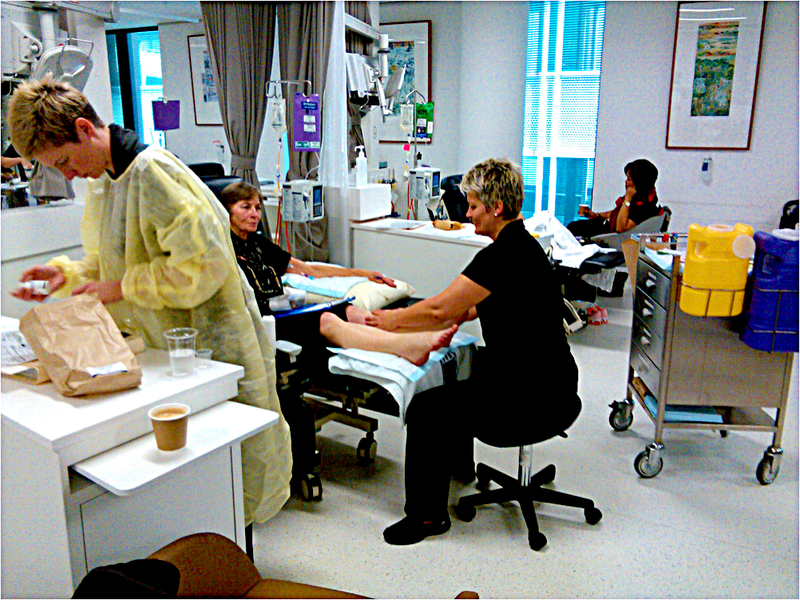 Andrea providing foot massage to a patient receiving chemotherapy (photo used with kind permission of the patient).